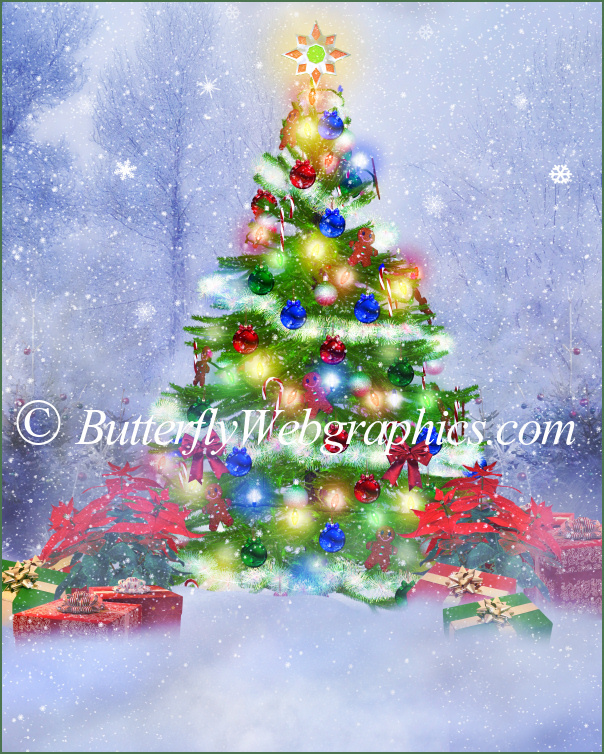 9 Festive Christmas Background Graphics. 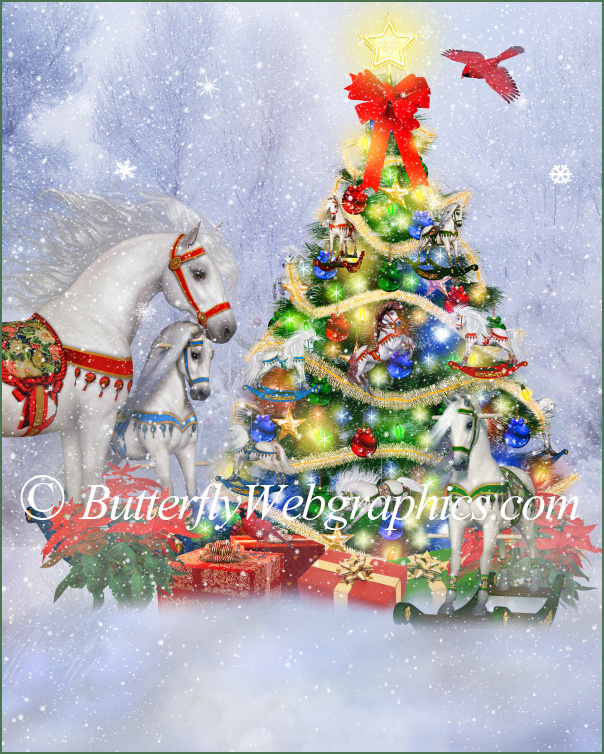 These stock background images feature Cardinals, Christmas Trees, horses, gingerbread houses, gifts, candy canes, and much more. 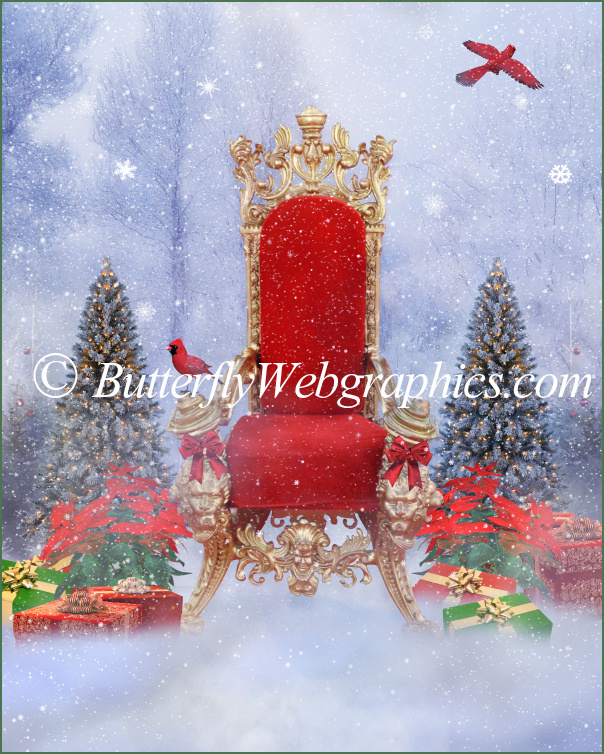 Perfect for North Pole and Santa Scenes and all kinds of holiday designs. I spent a lot of time creating these graphics. I wanted to create something special for you this holiday season. 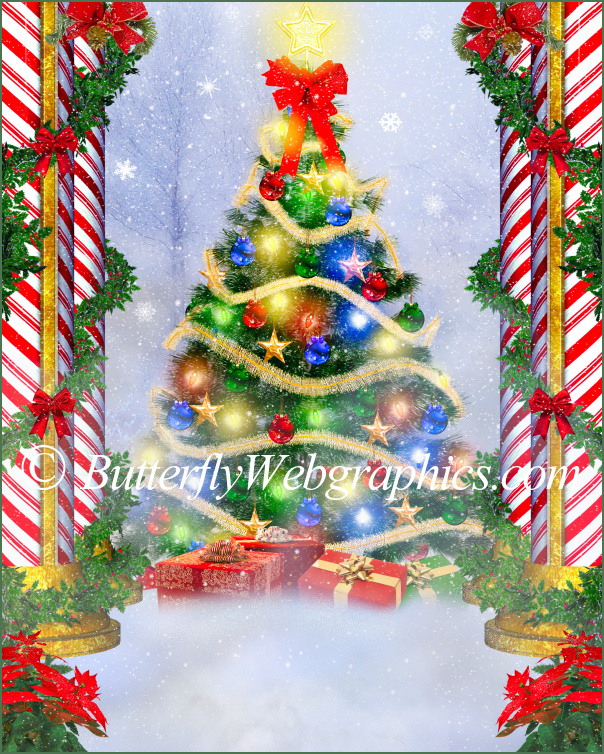 Most of the images I used to create this package are from the huge collection of holiday graphics on this site. These images would make great Christmas cards. A version of this background is included without the text. Welcome in the spirit of Christmas! 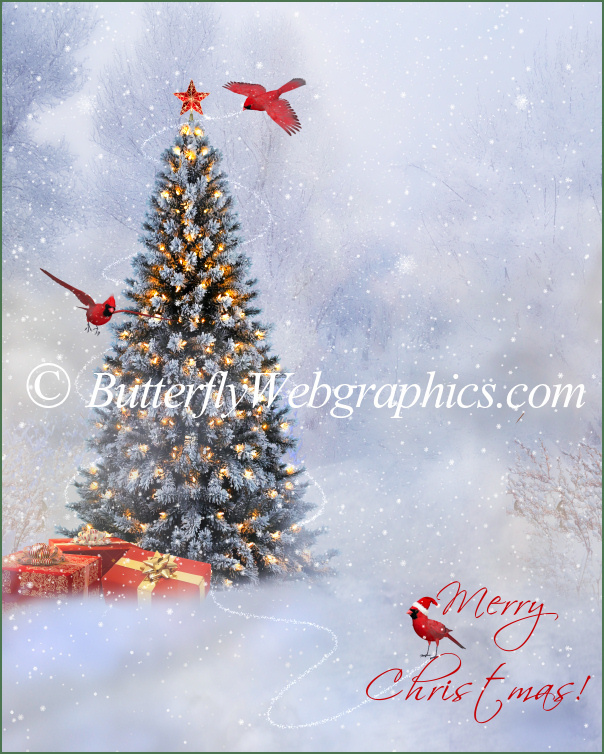 Merry Christmas Background Graphics especially for you. I worked very hard on these graphics during the past few weeks as I wanted to create a special holiday package for you. 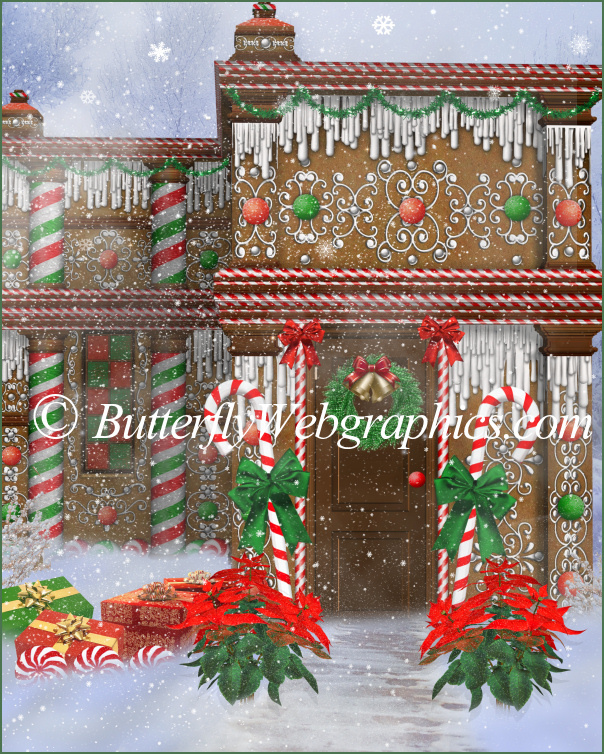 This is a diverse bunch of Christmas backgrounds with Gingerbread houses, horses, Christmas trees, candy canes, and more. 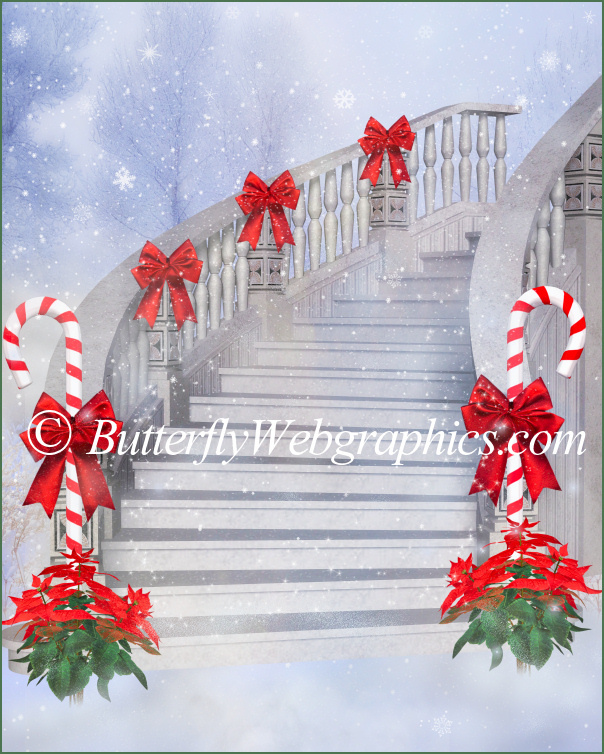 They each are set into a stunning winter woods scene with snowflakes blowing around. They are all 2400 X 3000, making them perfect for your holiday projects. In fact, they would be great for cards, scrapbook designs, and countless other projects. 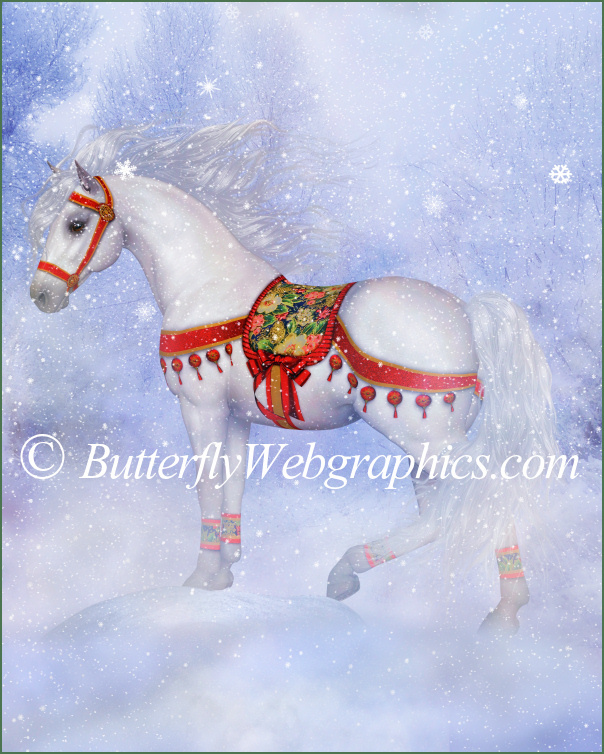 Most of the images I used to create these backgrounds are available in my other Christmas packages, including my Christmas Horses and my Christmas Eve Graphics package. You’ll find my Cardinals here. 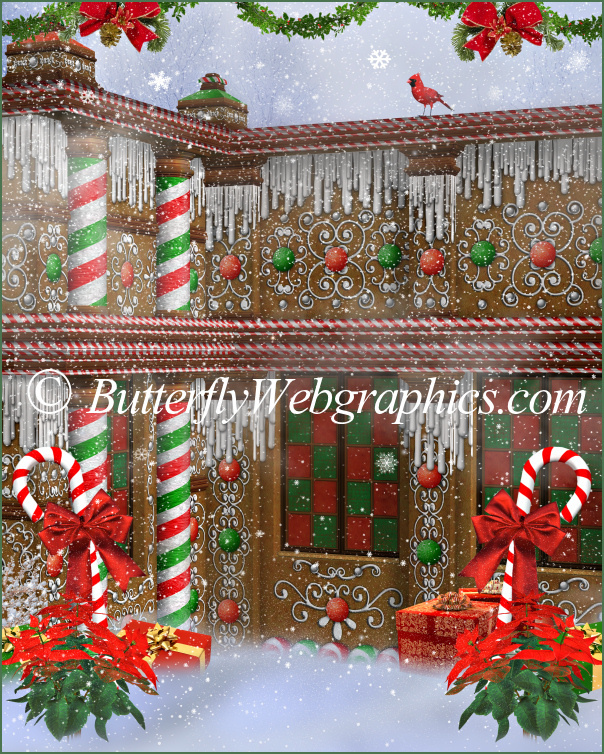 The Gingerbread houses and stairways that I used in these backgrounds will be available in another package soon. The seamless tile from this page is included. These graphics are approximately 2400 X 3000 pixels. All are 300 DPI, making them great for print projects. This package is two zip files, which are approximately 49-59 MB each.